Our professional cleaning options offer the perfect combination of rock-bottom prices and top results. We offer services that are individually tailored to meet the needs of the customer they will be delivered to. This has won us a large group of satisfied clients who will gladly recommend us to their friends and family. You can visit the testimonials page to read opinions they have shared with us. 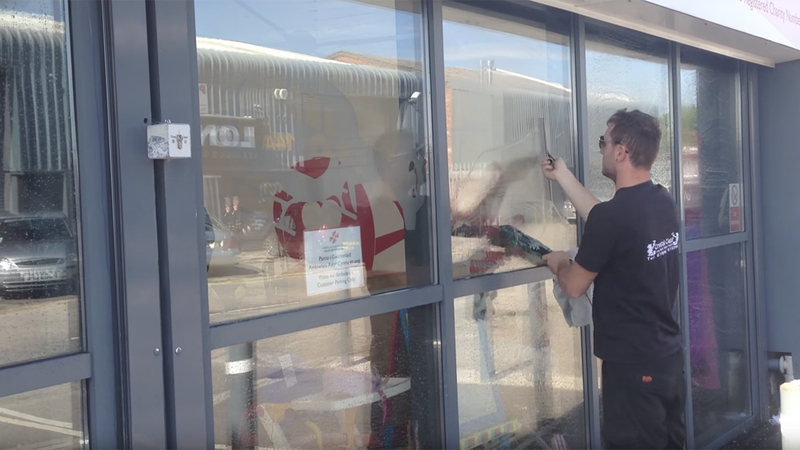 Our window cleaning Swansea team members are extensively trained in operating our state-of-the-art equipment and applying the most effective detergents. With our services, you will receive an all around window clean, as we will come fully prepared to clean your windows inside and out. This sector means as a company we need to provide full and comprehensive Risk Assessments and Method Statements as well as have Public Liability and Employers Liability Insurance. We care for both your health and the environment, and use only eco-friendly cleaning products in all of our work. Our technicians will use an extension water-fed pole to reach the highest windows from the safety of the ground. We give full removal of smudges, stains and fingerprints from the inside of your windows. We have delivered spotless windows to homes, offices and shops across the local area. Our window cleaning team have the know-how and expertise to deliver the service you most need at the moment. Plus, when making multiple bookings with our window cleaning in Swansea specialists, you will receive further discounts. For example, book external wall cleaning or gutter cleaning along with your window clean, and have your home transformed for even less. Call 07846 873344. You can also contact our commercial window cleaners through our online chat support feature to get immediate answers to your questions. Our team of experts are available 24/7 to offer you free quotes and to help you make bookings. Alternatively, book our professional window cleaners, right this minute, by filling in our online booking form.